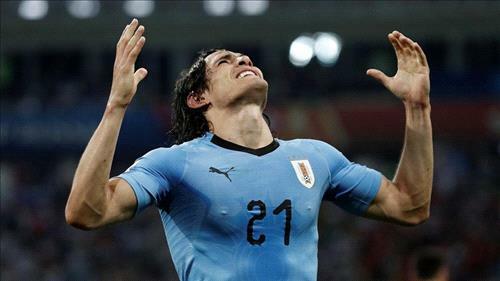 AMMONNEWS - Uruguay forward Edinson Cavani scored a superb brace to give his side a 2-1 win over European champions Portugal in their World Cup round-of-16 match on Saturday. Uruguay’s victory earned them a quarter-final against France on Friday and sent world player of the year Cristiano Ronaldo home after a subdued performance. Cavani put Uruguay ahead in the seventh minute when he evaded the Portugal defense to meet Luis Suarez’s pinpoint cross with a bullet header at the far post. Pepe headed Portugal level in the 55th minute, the first goal Uruguay have conceded in the tournament. But Uruguay regained the lead seven minutes later when Rodrigo Bentancur found Cavani and he curled a brilliant first-time shot past Rui Patricio from the edge of the penalty area.